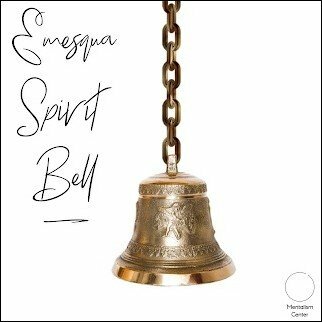 In Emesqua Spirit Bell , the underground legend that we call Carlos Emesqua reveals for the first time several of his secrets and techniques to create moments of credible spirit contact. 1. Circle of Spirits: A fantastic seance that is powerfully embellished with the mysterious sound of an old looking (and normal) hand bell. A DIY piece that will take you 5 minutes to make but give you amazing moments, without spending hundreds of dollars on electronics. 2. Stand Up Bell: A stand up piece, in which a participant in trance is the medium between the spirits and the audience. You will learn two different methods to cause the spirit sounds. 3. Emesqua Seance: The core structure of my style of seance, with techniques and tips from the real (under)world.